Firefighters could be seen tackling the blaze as propane gas cylinders blew up inside. 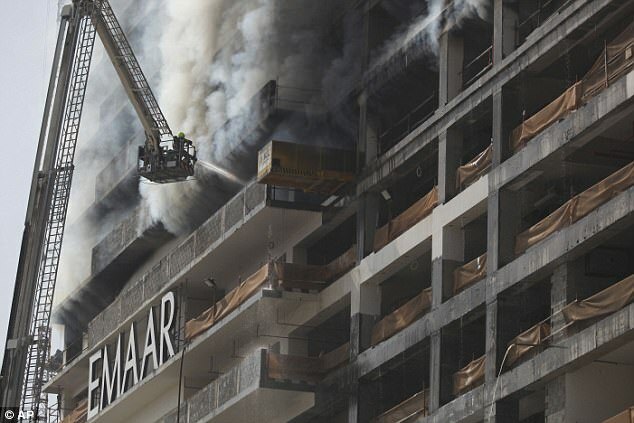 The fire broke out at around 6:30am (02:30 GMT) on 1st Apr. 2017. Flames licked out of the podium level of the building as firefighters shot water inside. 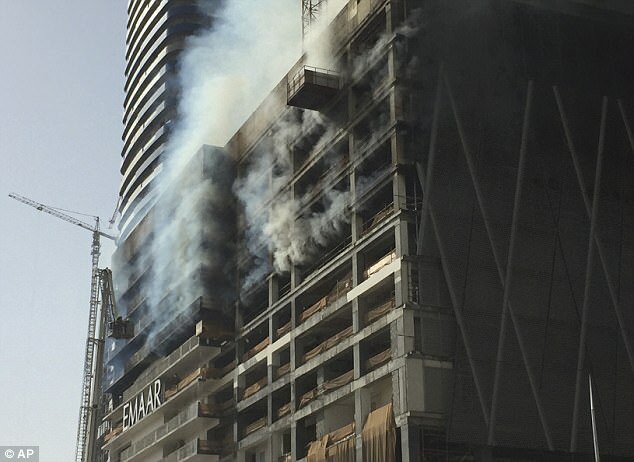 Dramatic fires have hit skyscrapers in Dubai and other fast-growing cities in the United Arab Emirates in recent years. 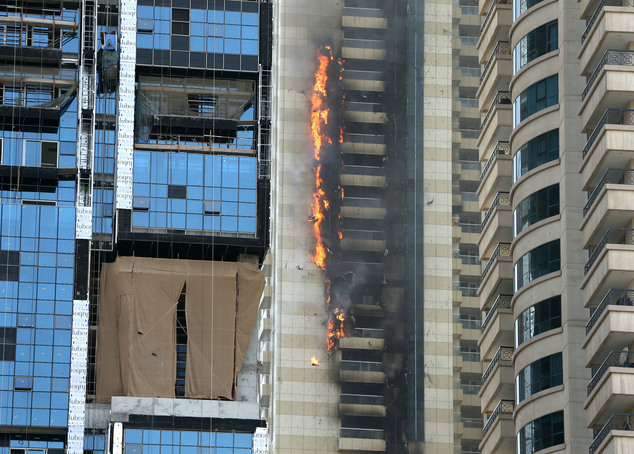 The most prominent recent fire was a New Year's inferno at a 63-story luxury building known as The Address Downtown Dubai, which is near the 2,717-foot (828-meter) Burj Khalifa and the city's biggest shopping mall. Police say faulty wiring sparked that blaze. Building and safety experts have cited a popular type of cladding covering the buildings that can be highly flammable. At least 30,000 buildings across the Emirates have cladding similar to the kind that experts say is involved in the fires. Construction in Dubai is problematic because of the high temperatures and much of the work - including pouring concrete - is often done at night, because of the heat. ATLANTA — Drivers in one of the nation’s most congested cities faced a jarring new reality Friday as they were forced to game out how to get around a collapsed portion of Atlanta’s Interstate 85 — one of the Southeast’s major north-south arteries.A mysterious fire collapsed part of I-85 northbound in the evening of 30th March 2017— injuring no one, but forcing the closure of all five lanes in each direction for the foreseeable future. 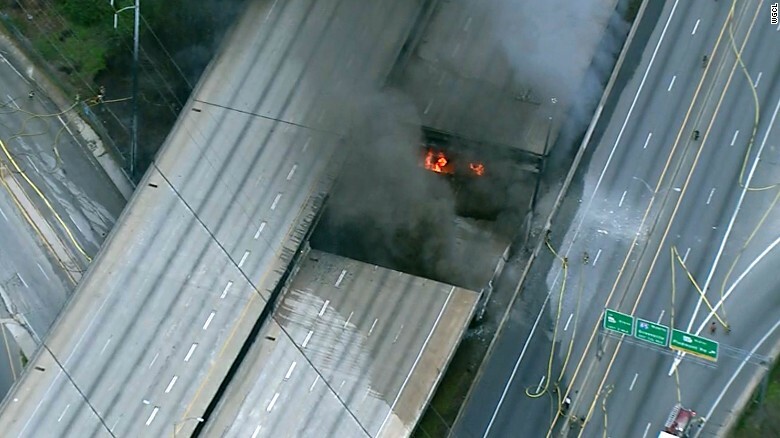 he fire started under I-85 in northeast Atlanta, north of the highway's split with I-75. At first, I-85 motorists drove through the smoke, and firefighters fought the flames below. It eventually grew into a massive fireball; the road was closed and firefighters withdrew as the structure weakened. The closure is proving to be a major challenge for motorists in one of the country's most congested cities. Traffic is being diverted to already heavily traveled I-75, I-285 and surface streets. June 15 is now the target date for completing the replacement of I-85's damaged sections-Sections of northbound and southbound I-85 - 350 feet in both directions, state transportation Commissioner Russell McMurry said Tuesday - sooner than previous estimates of at least several months. He called it a "very aggressive but attainable date" and "much better than our initial thought." • The state has redesigned the span to incorporate a type of beam that is in standard use today, as opposed to beams that were called for in the span's original, 1980s design. The other beam type would have taken longer to manufacture. • Accelerated-curing concrete will be used. This is not typically done because it is expensive, Pirkle said, but it will be used here because of the state's desire to get the stretch back in operation. • A design team of 15 to 20 engineers worked throughout the weekend and submitted the final plan at midnight Sunday. "Completion of these plans in just three days is a huge milestone," Pirkle said. McMurry said the state will review its policies on storing materials under bridges and elevated highways -- an issue in this case because authorities say last Thursday's fire started where the state kept high-density plastic conduits and other construction materials. The state was storing high-density polyethylene (HDPE) pipes and fiberglass conduits under the I-85 overpass, and the fire spread to the pipes, McMurry said. Authorities say they've arrested a man accused of intentionally setting the fire. The materials were in a state-owned lot under the overpass, behind a chain-linked fence with a locked gate, with a "no trespassing" sign, McMurry said. "A couple points of interest include the integrity of the infrastructure, the flammability of the materials and the issue of storing flammable material under a bridge," NTSB spokesman Keith Holloway said. HDPE pipes encase and protect cables, and are widely used in the transportation industry to build "smart" highways that provide information to drivers, control traffic signal lights and tollways. "Somebody had to start a fire. It doesn't combust by itself, it needs fuel," said Radoszewski. "Someone had to do it. It's not like someone would have dropped a match and it started."